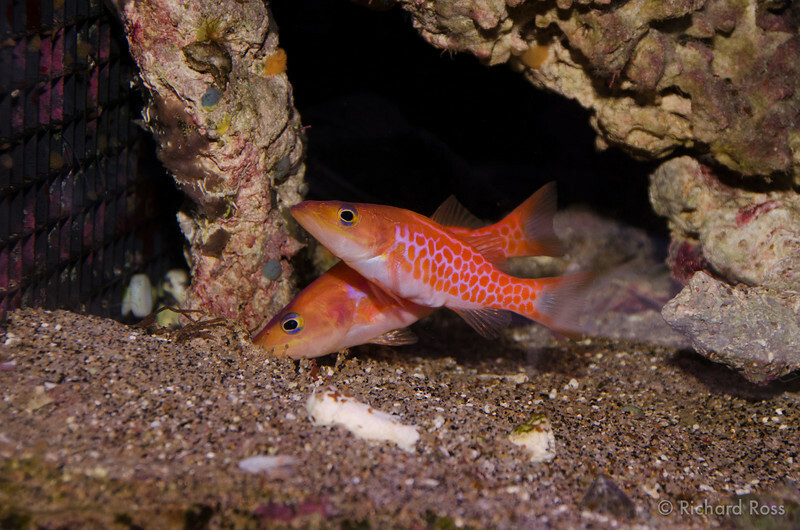 There has been a strange sense of romance across reef dwelling animals of late, with reports of very large spawning events we do believe, love is in the air. It seems a few people have taken on some interesting breeding projects, including this one by Rich Ross, the Dr. Seuss Soapfish Belonoperca pylei. Rich reports that the fish are sleeping together and fingers are still crossed for no bad behavior between them. Stay tuned for further updates and see our next post on the frisky lightning maroon clownfish.